Our market research management team/call center agents/ answering service operators have extensive experience in programming, and are equipped with the latest technologies to manage research projects from end to end. 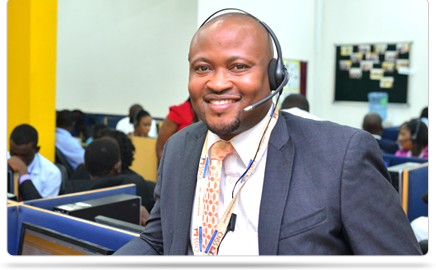 CNSSLCCL provides a full complement of in-and out-bound call centre operations, service delivery and management services, encompassing specific services for the financial services sector. 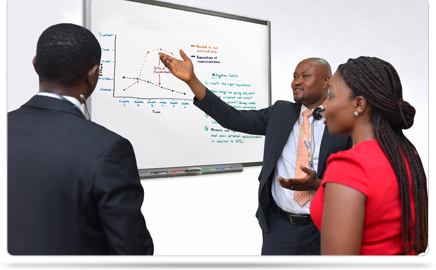 We also provides back office processing, consulting and training and development services. Our mission is to provide first level contact centre services, complying with the highest international quality standards and providing tailor made solutions according to the needs and objectives of our clients. We aim to provide our clients and partners with innovative, customer centric solutions that can help our clients maximise the customer experience in a cost effective manner. We offer top-notch inbound answering services solutions, each one customized to meet the unique needs of our clients. We utilize the most sophisticated telephone equipment, and our team is committed to delivering unbeatable expertise for your business. Our call center agents can skilfully and knowledgeably handle virtually all Inbound/Outbound Call Center solution requirements from the basic services to more advanced solution demands. CNSSLCCL provides a full complement of in-bound and out-bound call centre operations, service delivery and management services, encompassing specific services for various business sectors. CNSSLCCL also provides back office processing, consulting and training and development services. We offer top-notch inbound answering services solutions, each one customized to meet the unique needs of our clients. We utilize the most sophisticated telephone equipment, and our team is committed to delivering unbeatable expertise for your business. Our market research management team/call center agents/ answering service operators have extensive experience in programming, and are equipped with the latest technologies to manage research projects from end to end. Regular conducting of consumer surveys is critical to business success, making assumptions about your market is simply not enough and failing to have quantitative research to back up your marketing strategies can be a costly mistake for your business. Our emergency call center service is available to help your business when you need it the most. Our emergency call center service operates 24/7/365 because we understand that emergencies come at any hour of the day. 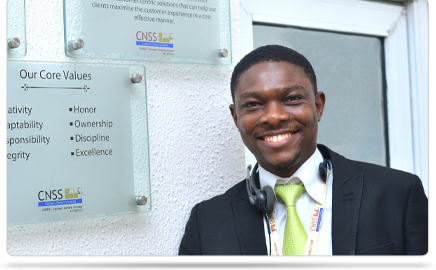 Visit of the Chief Executive Officer, MTN Nigeria Michael Ikpoki to the CNSSL Call Centre, Mayfair Gardens, Lagos.